Work for AWS Direct Connect? Learning about AWS Direct Connect? "The best to connect my data to the cloud directly!" What I like most about this AWS service is that you can bring my office data to the cloud through a direct and private connection in the form of a VLAN. This allows me to access the other services I have in aws such as EC2 or VPC. Not that I do not like some aspect of the service, however if you do not have knowledge of networks you may not be successful in this configuration. So I can say that you require certain knowledge. The recommendations for implementation is that if you have large volumes of data is the ideal solution, and what traditionally requires an internet connection to upload and a considerable time to upload them. Another aspect to consider is if you want to keep data in your office environment and additionally a part of data in the cloud, a journey of this service can be a hybrid environment. Particularly the main advantage for me was to be able to take the data to the cloud, that is, when you have everything in your datacenter and you want to go from a traditional infrastructure model to the cloud, through this service it is possible. Since you can establish a direct connection from your instantance to AWS. "Run a Cost Effective Hybrid Cloud Solution "
I've worked with many customers who start-up in AWS (Amazon makes it really easy), but quickly find as their user base grows, so does their monthly bill. Making the capital investment in your own environment to move daily, mission-critical computing workflows can substantially decrease your operations cost. The added benefit is you still get to utilize AWS' cloud for other computing functions like DevOps. You are adding a spoke onto your cloud, so you have to be very careful as to how you deploy this strategy. If you have users across the world, you may want to find a way to keep the functions important to your end user in the cloud. Direct connecting into AWS has been an easier process than a direct connect into Azure. If you are to evaluate Azure as well for your hybrid cloud strategy please keep in mind you'll need 2 connections. Azure as far as I'm aware still uses 2 connections to send and receive information. It's over the same pipe for AWS! Operation efficiencies while staying lean on our operating budget. "AWS Direct Connect provides secure networking between branch offices at MyNew Technologies"
Pricing may be a bit steep for us, but the security trade-off is excellent. We previously used other VPN's for connecting our offices, but the vendors did not offer a 99.9999% uptime and no failover systems to keep our connection active. "Direct Connect Service As a Whole"
Direct Connect now has the ability to provide proper gateway functionality for you entier single or multi accout environment. Current limitations of Layer3 feature control on the AWS side once transit leaves your network are still being worked out. I would definitely look at controlling both private and public space via separate VIF in your original architecture. You might think this is over-architecture at first but the more you look at VPC integration support for all of AWS services that your environment uses you will realize that if you control both public and private space that routing will always work and be able to securely maintain. There will be situations you run into that will cause you pain in routing if you do not own the public space but own the private space. High volume data transfer and proper mesh networking for hybrid cloud/onpremise environments is why we use the service. The benefits are that we open ourselves to whole new options for network security, private data transfer and private commit pricing to make our environment not only stable but affordable. "Direct connect is so much better than VPNs"
The performance. The low latency, reliability, and consistancy is key to smooth operations. Without a 3rd party it is only possible to connect to a single region at a time. I would prefer to deal directly with Amazon. I can go through a 3rd vendor to provide flexibility to Direct Connect but they are almost a pass thru. 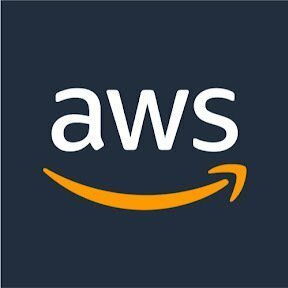 I would prefer to connect directly to an AWS datacenter as close as possible to my on-prem datacenter and then be able to route to any region on Amazon's backend. Do it...especially if you are only in one region. Direct Connect connections are easier to manage than VPNs. With VPNs, we required multiple stacks of VPN hardware because each VPN requires a unique endpoint/IP on our side. In order to provide that, we have had to invest in stacks of firewalls. Direct Connect consolidated all of that infrastructure. I like the security AWS provides me with in their hosting techniques. The only time my company has ever been hacked was when a previous employee used their knowledge of the backend to get in. The price, it is competitive, but our company would always like something a bit cheaper! We enjoy the extra "space". How Simple it is. it provides a low latency connections to the AWS, The AWS direct connect gateway is an awesome way to simpliy your connectivity model. it's expensive if you do not have a good use case. There is other ways to sovle the same problem if you have low traffic. Make sure the cost is worth it. Just like everything in AWS you need to make sure the problem you are attempting to solve is worth the price to solve it. It was purchased with the idea of low latency to the cloud. but we dont use it very much and we could have solved the same problem with vpn. "Review of AWD Direct Connect"
AWS Direct connect is so easy to learn and use, there is no need to take a course because the entire system teaches you step by step. I don't like the complex amount of options. I understand having options is good but when there is so many this may stop many consumers who are not tech savvy. I would recommend users to get right into the system and don't worry about the many complexities and options that are available for users, instead just start implementing your system. I am able to run servers and directly connect to web-sockets much more efficiently thanks to the streamlined work of AWS. AWS Direct Connect is pretty easy to set up and use. There is also a lot of support from Amazon if you have any questions or concerns. If there are any issues, you have to contact Amazon directly. There is not much support for it on online forums. It provides a cloud service solution that makes it easy to establish a dedicated network connection from your premises to AWS. "Great bandwidth experience for Hybrid Cloud"
High bandwidth connectivity between data centers and AWS accounts. Availability of multiple vendors that can provide direct connect access and amazing portal access to configure direct connect is very easy. As a system integrator working with various customers and various vendors to get the connection setup and start working takes time. Coming from data center background I understand more time consuming to setup the physical infrastructure. Having providers reduce the time to setup direct connect. Problems: Legal paper work between providers and customers. Install and configure physical hardware to configure direct connect. Benefits: High bandwidth connectivity back to on-premise. "Low latency, private connectivity to AWS"
40g and 100g options would be nice. I don't have anything to say about the service. nothing specifically. However many of our customers who are using the direct connect do it from the cost perspective. Some of our customers use Direct COnnect. It helps to create IPSEC tunnels for virtual security devices hosted on AWS to Hubs that connect to Direct Connect gateway. This provides a link to manage the devices from AWS and also provide manageability and orchestration capabilities with the legacy networks. "Great service. My company could not use the cloud without it." The privacy, dedicated bandwidth and functionality. Ease of use once it is available. AWS DX Partners still need 90+ days to deliver new DX circuits. If you can afford it, use it. Redundant and carrier diverse private circuits to AWS. There is always debate on VPN vs direct connect, some customers are happy with VPN and some are happy with direct connect especially if you can have direct connect line from your enterprise to amazon data center. "Direct Connect Allowing me to Sleep"
We are a recent hybrid cloud adopter and initially used vpns for connectivity from our on prem DCs to our VPCs. BY leveraging the aws/cisco transit vpc and direct connect we have been able to deploy dozens of customer facing high usage applications with little to no downtime. Easy integration with BGP and our route tables in MPLS. There's nothing i would recommend for improvement. When we were assisting with deployment of this solution for a client, the interface was easy to use and there was ample assistance available, if/when we needed it. Nothing! It was a breeze to set up and has been easy to maintain. The main problems that have been solved were onboarding and deploying a dc environment win a timely manner with minimal hiccups. The best of the best cloud services dedicated to the most direct network connection needed. There is nothing at all at this time that I can think of to improve on AWS Direct Connect. It is allowing me to be able have the best network connection possible from my home which has become my workplace . It is a simpler solution to data connection issues than trying to install and pay for a second wireless router. That its use is limited to what devices it can connect to. Get it if you want to save time! That it has made operations run smoother by giving us the ability to put certain programs on its data connection. "Direct Connect - The Gateway from your data center to AWS Cloud! " Direct private network gateway between our on premise network to AWS network. This provides security and dedicated analytics of our own traffic. Still have to go through public network providers that are not as scalable, fault torelant which could cause failures as we’ve seen. Direct private network connection to AWS without going through public internet. Also provides speeds we can control. That we were able to work with Amazon and they were able to get it working very quickly. The process is very structured in making changes to their network. Nothing to really report on that been using and it works just fine for me. Ability to connect to multiple VPC's from a single connection to our On-Premise Data Centers. We use a managed Direct Connect from AT&T because of costs savings of renting colo space in a DX capable data center. We were able to reduce our spend on transport to our cloud resources by moving to DX. Having a fast reliable connection to the cloud is essential to running hybrid cloud environments where data has to travel between on premise environments and cloud with low latency and high reliability. Transfer costs out of AWS is a dealbreaker for some companies especially if they transfer in petabytes of data. This product is easy to use and makes information more secure within a network. It can be a little slow or fussy at times. File sharing has been an issue and connectivity within our business and this seems to be a solution and it is secure as well. "Direct Connect allows us to seemlessly integrate OnPrem with our VPC"
We have a stable, dedicated, and fast connection to all our AWS resources. Now that Direct Connect Gateway is available, we are able to connect our headquarters with the existing VPCs of our acquisitions. "Easy to setup. DC replaced out OpenVPN setup"
The Direct Connect GW made it lot easier to connect multiple VPCs. The setup was intuitive and the serivce is running fine in our production environment. "Fast and Furious Set up"
Better connectivity and faster set-up. Better connectivity than the VPN connection. Better reliability as well. The ease of setting up. Working with AWS was easier than working with our very well known circuit carrier. You guys were extremely easy to work with! more alerting options, and integration with AWS partners. "Direct Connect works for us"
Having the ability to connect to our instances without having to setup a firewall is key for us. I honestly cannot think of any reason to dislike the product. Saving money by not having to provision firewalls. "Great service for enterprise "
Price is high for dedicated connection. Reducing latency. Secure connection. Not hogging the Internet speed. "build direct connect to support critical bussiness"
"It was great and a great service that assist t establish a dedicated network connection. " Nothing at this time, I like everything about this product. "DirectConnect helped us with our migration"
AWS DirectConnect was the instrumental feature that helped us with our data migration from our on-prem hosts. Nothing so far. Things have been very smooth. DB and infrastructure migration to AWS. "Best way to send your data to and from AWS"
Some of the routing is different then traditional routing and therefore sometimes lacks flexability. There are no issues involved I am aware of. Latency, performance, multiregion reachability, etc. VIF limitation! VIF limitation! VIF limitation! * We monitor all AWS Direct Connect reviews to prevent fraudulent reviews and keep review quality high. We do not post reviews by company employees or direct competitors. Validated reviews require the user to submit a screenshot of the product containing their user ID, in order to verify a user is an actual user of the product. Hi there! Are you looking to implement a solution like AWS Direct Connect?